It's Gonna Feel All Right: The Musical and Cinematic Legacy of "A Hard Day's Night"
"A Hard Day's Night," which was released 50 years ago this week, was never expected to be a hit. In fact one of the United Artists film executives who supervised its release frankly predicted that the studio would lose money on the film—a slapped-together black-and-white faux-documentary about four mop-topped musicians—but it was fine because it was just advertising for the sure-thing soundtrack anyway. He was wrong, of course. "A Hard Day's Night" went on to become a huge international box office smash and, to the astonishment of everyone, filmmakers and Beatles included, a critical favorite. The Village Voice's pioneering auteurist Andrew Sarris declared it "The Citizen Kane of jukebox musicals," a formulation that marked the birth of a beloved critical cliche ("the 'Citizen Kane' of [Type of Movie]) as well as the ascension of Richard Lester into the pantheon of important '60s directors. And he was indeed important. The director of, among other things, "The Knack," "Petulia" and the Beatles' follow-up "Help!" 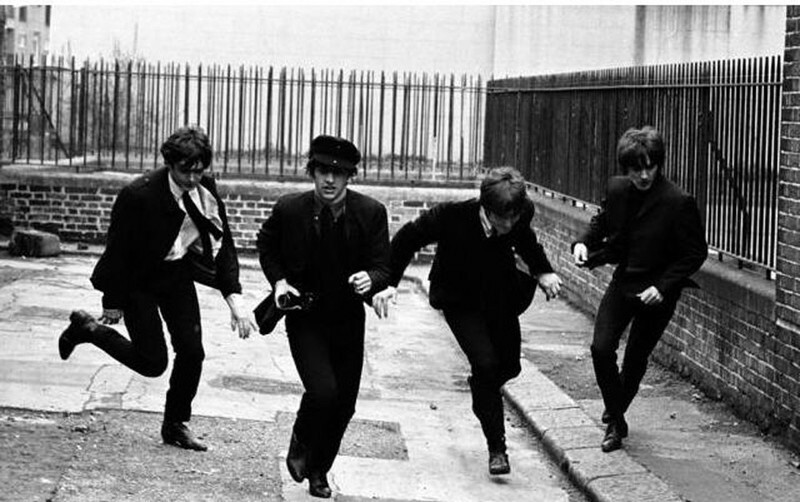 had distinctive aesthetic that borrowed equally from documentaries, experimental films and the so-called jukebox movies (theatrical and nickelodeon forerunners of today's music videos), and he brought all those fascinations to bear in "A Hard Day's Night." United Artists hired him on the basis of his influential short "The Running, Jumping and Standing Still Film," the intimate and gracefully surreal style of which will be recognizable to anyone who's seen Lester's Beatles pictures. "A Hard Day's Night" also channeled the spirit of silent and early sound-era comedy's great stars, particularly W.C. Fields and The Marx Brothers, whose wry and sometimes surreal banter the Fab Four evoked. This was a scripted motion picture, but it was often scripted on the fly. Luckily for Lester the Beatles were witty with or without a script and had reserves of natural laid-back charisma. They did not have to fake being charming. And they undeniably were, as some of the audio clips in this radio interview I did with National Public Radio's SoundCheck attest. Click the arrow on the left to play the segment, which runs 15 minutes.